A friend at work and I went to lunch yesterday, and we were talking about my upcoming trip to London and Cardiff and her planned trip to London next year. I told her I’d send her some links. Of course, my enormous email turned into a blog post. Instead of just sending them to her, I thought I would draw on my previous trip (though it was very long ago) and recent research and post it here in case anyone reading wants to go. Seriously, off the top of my head, I know five people besides me who are going either this year or next. So this may be my longest post ever, but here is my compilation of travel tips for first-timers in London. If I got anything wrong, please correct me in the comments. The United Kingdom of Great Britain and Northern Ireland (aka UK or Britain) consists of England, Scotland (for the moment), Wales, and Northern Ireland. Say Leicester Square as LESS-ter. Say Grosvenor Street as GROVE-ner. 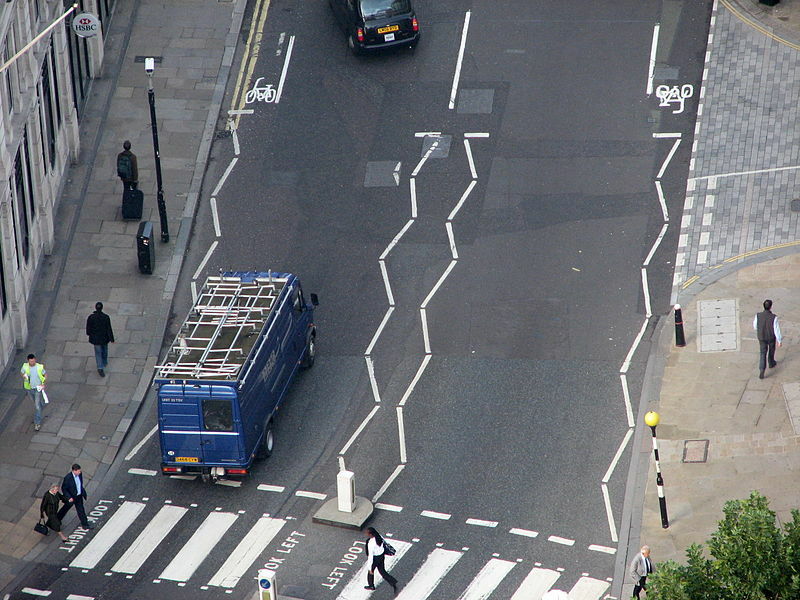 Striped pedestrian crossings are called zebra crossings. Pronounce zebra to rhyme with Debra. ATMs are called cashpoints. Rick Steves has more info on how to use them here. Temperatures are in Celsius. Weights and measures are metric (except for miles, I think). You may see 24-hour time (00:00–24:00) in train stations, though if you ask someone the time, they’ll tell you it’s four p.m., not 1600 hours. Some public bathrooms are pay toilets (mostly in tube stations). You have to pay to get into the stall. Save your change! I have no idea how much they cost now. Keep a pocket pack of tissue in your bag in case you get caught without any. Self-cleaning toilet booths are pay also. It’s okay to ask for the toilet in London; alternately, the loo, WC, lavatory, bog, ladies’, or gents’. If you’re going through Heathrow, you can take the Underground (commonly referred to as the tube) to central London. It’s cheaper than the Heathrow Express. Find travel information here on the airport’s website (Transport & Directions). Voltage is higher than in the US. 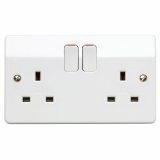 You’ll need UK adapters; ones for Europe in general won’t work. Amazon has them. I’d take one with you so you have it right away in case you need to charge your phone, etc. For more info, check here. UK power outlets are bigger than ours. Many of them have switches. If you plug something into the outlet with your adapter and it doesn’t work, try flipping the switch. If you forget anything, you can buy it at a drugstore (chemist). I won’t even bother to pack toiletries, just put travel sizes in my carry-on in case my luggage is delayed. I’ll buy shampoo, etc. there and then ditch it when I leave. Accents aren’t that hard, especially if you watch a lot of BBCA, but not everyone in England sounds like they just stepped out of Downton Abbey. The only person I had trouble with was a cabdriver with the thickest accent I’ve ever heard in my life—he was damn near incomprehensible. He was nice; he laughed pretty good-naturedly when I admitted I couldn’t understand him. Brits have different terms than we do for things. Look at this link for a list of words that might trip you up. 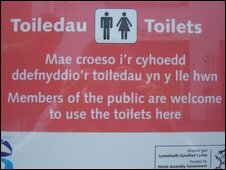 In Wales (Cymru), everyone speaks English, though signs are in both English and Welsh. 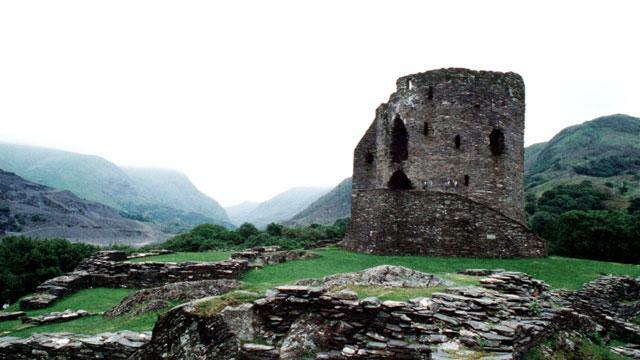 Click the link to hear someone say the word Wales in Welsh—it’s nothing like it looks! I’m planning to practice a bit of pronunciation, so I won’t end up in the sea if I ask where something is. Last time I was there, the Underground had little yellow paper tickets you put through the barrier (yes I’m old—shut yer gob). It didn’t take me long to get the hang of it, but now people have Oyster cards. You use an Oyster card on the London Underground (tube) and the bus. 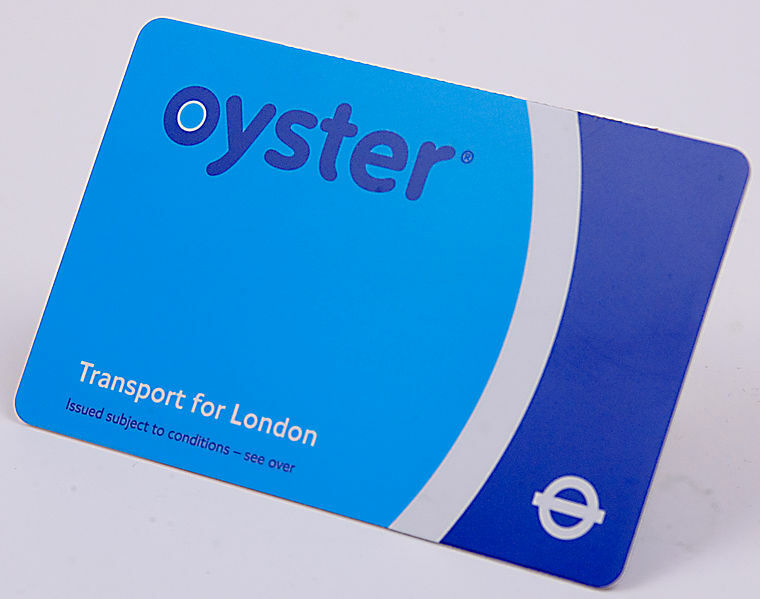 This link helped me understand the Oyster card / Travelcard thing. If you’re staying more than a few days, it’s cheaper to get an Oyster card at Heathrow when you get there. You can top it up at the tube stations. You can also load the Travelcard onto the Oyster card, apparently, but NOT if it is a Visitor Oyster card. No, it doesn’t have a picture of seafood on it. Here is the Transport for London website for more information. UPDATE: According to this Buzzfeed article, TfL is moving to contactless debit/credit card usage on the transport system. You should still be able to get/use Oyster for a while, anyway. Keep an eye on the TfL website. London is a massive city and people are in a hurry. The main things to remember on the tube are (1) have your Oyster card or ticket ready at the barrier (so you don’t create a traffic jam), and (2) keep right on escalators, stairs, etc. The tube has been in use (though obviously updated) for over 100 years (1863), so there are stations without lifts (elevators), and THERE IS NO AIR CONDITIONING. Delays are common. Twice when I was there before, they closed the line for something. Once was a train problem and once was a suicide on the track, and I had to find another train or a cab. Try to plan ahead when you take the tube and avoid peak times (rush hour): 6:00—10:00 am and 4:00—7:00 pm. This is a good post about etiquette on the tube. Buy one of these!! You should be able to get it at the airport or at any newsstand (newsagent). 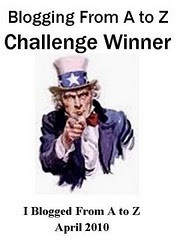 British people don’t say Z—they say Zed (rhymes with bed). 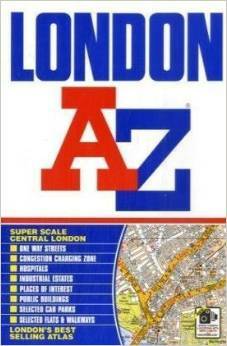 So ask for a London A-Zed. I hung onto mine for years, and I finally threw it away because it was so outdated (and I didn’t think I’d ever go back, waah). London is very walkable, but you’ll need good shoes and make sure they are rainproof. Because it will rain. Drivers of the iconic black taxis have to pass an insanely difficult test called The Knowledge before they can drive the cabs. They know where stuff is and will not jack you around on the fare. 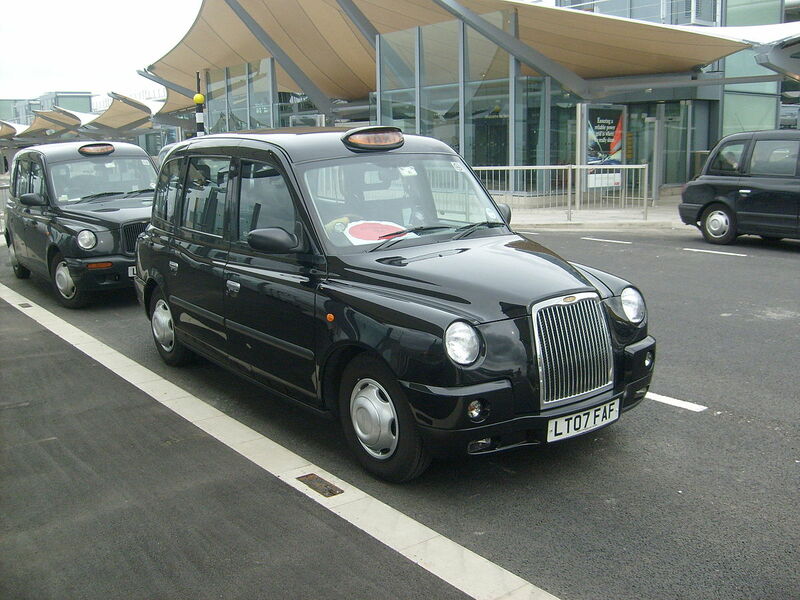 Find out how to take a London cab here. DO NOT TAKE UNLICENCED MINICABS. In my research, I’ve been warned that women especially have been assaulted by drivers. In any case, they don’t have The Knowledge. Legit minicabs must be booked in advance. Some people are upset that they are taking business away from the black cabs; how you feel about that is up to you. WARNING: remember that people drive on the LEFT in England. If you value your life, look right when you cross the street, and ONLY cross at the zebras! Read the road. Tells you what to do. English people are reserved, though they are usually quite nice when you do speak with them. They LOVE it when people are very polite. Their sense of humor ranges from extremely sarcastic to gross / borderline offensive to incredibly silly. You’ll always find a few rude jerks anywhere you go, but overall, they are really lovely people. Keep your volume low. The British don’t bellow like we Americans do. On the tube, please refrain from chatting up everyone you see. If someone is reading or wearing headphones, leave them alone! They don’t smile at everybody they see either (this is a knee-jerk reaction where I live). Just act like you’re in New York and you’ll be fine. This link is for kids, but it’s awesome and if anyone is confused about anything, it explains it very well. I’ve skipped the obvious tourist stops, which I’m sure you’ve already googled. The only thing I did last time that I might do again is Madame Tussauds Wax Museum. The original is in London and it was totally worth it for the Chamber of Horrors alone. Don’t be put off by the insane website. I found a terrific Trip Advisor thread for those of us without a trust fund. I googled links or names of places I found interesting to see if they were still open. You can sort it by newest or oldest posts first. Though it’s a bit old, this is a good post also (scroll down to #8, by caffn8me): This person gave a lot of good advice, including stuff to avoid. For tea and fancies, visit Fortnum and Mason. Harrods has a dress code. I’ve heard people have been turned away for wearing too-casual clothing, including celebrities. For Harrods FAQs, visit this link. 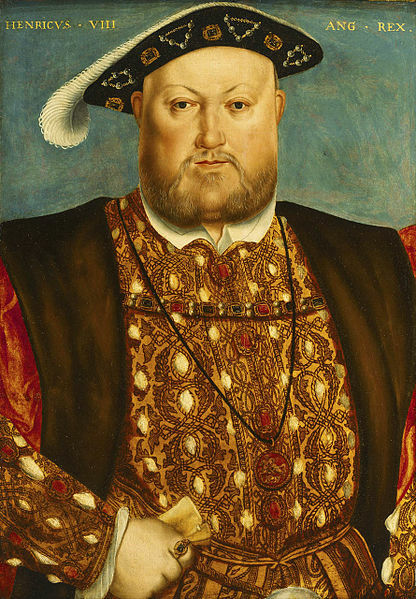 I highly recommend you see Hampton Court Palace. It’s Henry VIII’s house (Tudors!) Seriously, this place is AMAZING. Or perhaps he had too many of them. I hope that gets you started, or at least dreaming of the ultimate British holiday. If you spot any mistakes, or if you have any recommendations about fun things to see and / or do, please share in the comments. Here’s a cool blog about London with lots of info. London events you can attend for free! If you decide to nip on over to Cardiff, it’s only 2-1/2 hours by train. Thanks! :) And thank you for visiting, Carrie! I’m seriously contemplating a visit to Scotland by train while (whilst, hehe) I’m there. ;) I’ve heard pissed here both ways as well, though mostly in the US it just means angry (e.g. “I’ve pissed her off”). I should have mentioned too, if someone here wants to expose themselves to different accents before they go, they should watch Little Britain, a sketch comedy available on Netflix. It’s not only hilarious but the actors use a variety of accents.